Your Price: $31,400 + HST & Licence. Gas/Electric I-4 1.8 L/110 - 1.8 L cyl. 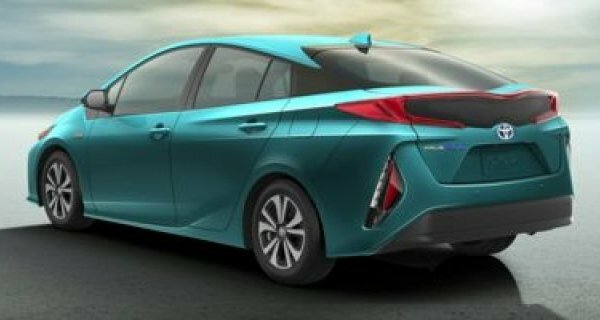 This Toyota Prius Prime boasts a Gas/Electric I-4 1.8 L/110 engine powering this Variable transmission. Wheels: 15 Aluminum Alloy w/Wheel Locks -inc: full wheel covers, Variable Intermittent Wipers, Trip Computer. *This Toyota Prius Prime Comes Equipped with These Options *Transmission: Continuously Variable (ECVT) -inc: Electronically controlled, Toyota Safety Sense P, Tires: P195/65R15 All Season, Tire Specific Low Tire Pressure Warning, Tailgate/Rear Door Lock Included w/Power Door Locks, Systems Monitor, Strut Front Suspension w/Coil Springs, Spare Tire Mobility Kit, Smart Device Integration, Single exhaust. * Visit Us Today *Come in for a quick visit at North Bay Toyota, 640 McKeown Ave, North Bay, ON P1B 7M2 to claim your Toyota Prius Prime! 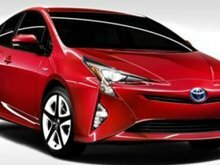 Want to try the 2018 Toyota PRIUS PRIME Auto ?